With the recent release of the third Gatsby trailer, the anticipation for director Baz Luhrmann’s recreation of the F.Scott Fitzgerald classic is mounting. 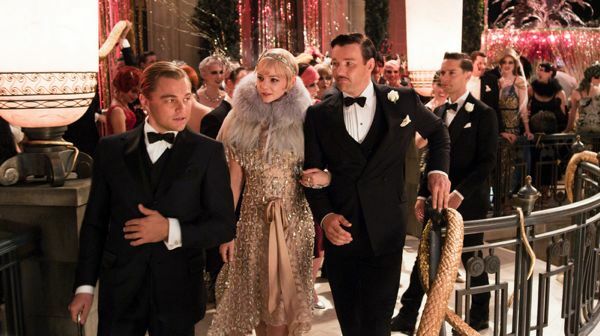 The trailer gives a more in-depth look at the characters, the lavish landscapes and further reveals that Leonardo DiCaprio may hold a candle next to original Gatsby, Robert Redford. While I’ve previously cursed the idea of remaking classics, Baz’s recognizable modernized eye for style along with his clever incorporation of contemporary music seems to transform the 1920s on screen with Gatsby. If his pop culturized version is anything like 1996’s Romeo and Juliet, we can be guaranteed the movie will maintain the authenticity of the story we all know and love. 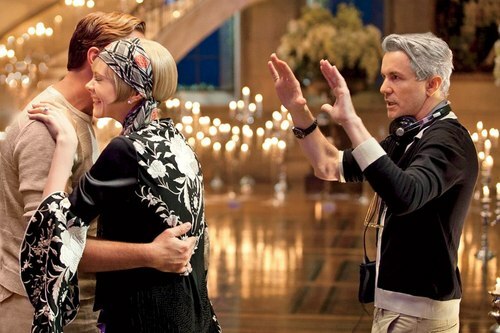 Luhrmann’s previous work, Romeo and Juliet and Moulin Rouge, both share a commonality with Gatsby–the music. You won’t find a score parallel to the era Luhrmann is speaking from; Gatsby and Jay Z are held together side by side, and Luhrmann’s unique modern troupe combine the diversity of a modern beat juxtaposed with the extravagance of the 1920s will likely fit knowing Luhrmann’s past films. 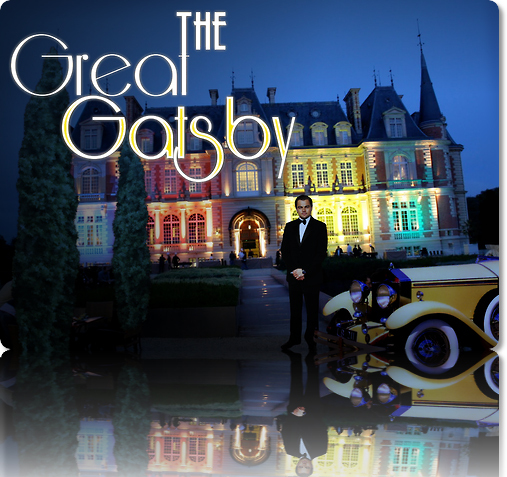 The lavish Gatsby lifestyle will surpass it’s predecessor visually from it’s costumes to set locations. Mia Farrow’s version of Daisy was manic and obnoxious, so I’m curious to see if Carey Mulligan is the right fit to play such a coveted role. I know this is probably an unpopular opinion! Leonardo Dicaprio as the literary famous Jay Gatsby fits like a glove in my opinion. The only other actor that remotely comes to mind for such a large-scale role would be Brad Pitt–but Brad Pitt circa the 1990s…not Brad Pitt circa today. Leo has one of the most incredibly diverse and exceptional acting resumes to date. This may be his year with Gatsby and The Wolf of Wall Street. The supporting cast, outside of Tobey Maguire, look like they’ll be a sucker punch of a cast–particularly Joel Edgerton (Tom Buchanan) and Isla Fisher (Myrtle Wilson). We all know Myrtle’s fate, and the trailer makes it look like one hell of a ride! I don’t care a thing for Jay Z, but I am pumped for this film. I love the look to it & I love the cast. Bring it on! I probably care less about Jay Z more than you do, but I liked the quote Baz gave quoting Jay regarding the ultimate point of Gatsby. We’ll see what happens! I don’t like Jay-Z either, but I think his music could work in this film. This is my most anticipated film of 2013. I liked the book but I imagined it as a film throughout – it has this certain elegance to it. The trailers have been amazing, too, and made me want to see it even more. I kinda sorta have the feeling Baz nailed it. I’m glad you agree too, because it seems the majority is ruling against this. I still have faith Baz nailed it too! I cannot wait for this! The cast and director seem to fit perfectly. I bet it’s gonna be great! The cast IS amazing, and it’s certainly not going to be a messy disaster like Oz. I’ve actually never seen any of the previous Gatsby movies, but I look forward to this one. It’s been over a decade since I saw the one with Robert Redford, but he’s such an incredible Gatsby. You should check it out…it’s pretty good! I’m not looking forward to this one, but I’ll definitely see it for the visuals and Mulligan. But it looks slightly over the top for me, even for Lurhman. 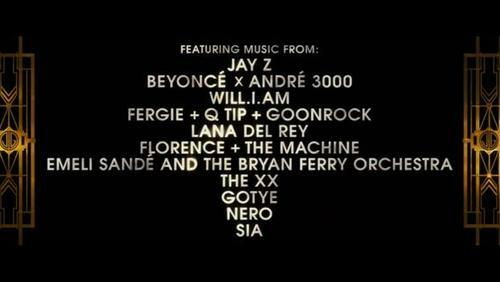 I’m very excited about new songs from Lana and Florence, though! It really looks great. There’s a lot to like, wish it wouldn’t have gotten pushed in the first place but we’ll be seeing it soon enough i suppose! I initially wasn’t thrilled about the push-back either, but there were so many movies to take in last December. I like that Gatsby will likely control the focus in May. I actually wasn’t a fan of the Redford Gatsby film and so I really hope that this one is a Gatsby that I can celebrate. I’m hoping that Luhrmann has pulled it off! I loved Redford as Gatsby, but Farrow was a complete miscast, in my opinion. I’m looking forward to this one too. 🙂 The trailers have been great IMO, and the fact that they pushed it to a summer release is a good sign, in my book! It’s one of the few movies I anticipated this year. I hope it’s as good as the hype. Exited for the soundtrack also. And I love Mulligan. I try not to read news about it much because I don’t want to get my hopes too much though. I agree. I also don’t want to overly-hype it in my head, because my expectations are usually not met when I do that. If anything, I think it’ll be a visually masterpiece even if the plot falls short. Great blog! Nice graphics you’ve got here. I’m anticipating this too, though the trailers are sooo sensational I don’t know how the film itself can live up to ’em. I hope Baz delivers this time after the disappointing Australia, but I’m getting a Moulin Rouge! vibe w/ this one so fingers crossed! Thank you! Love following your blog!